Seagate Homes: Unique enclave of 90 homes nestled on a quiet, tree-lined street located between Park Shore and Pelican Bay. Built in 2017, this home has been designed to meet the expectations of discerning buyers. The kitchen cabinets by AlliKriste with natural quartzite countertops, wet bar with beverage center and a Thermador appliance package. Legno Bastone white oak flooring, decorative ceilings, crown molding, room for an elevator, custom solid mahogany front doors and more. The residences of Seashell Avenue have access to Natural Gas. Relaxed, easy living and a comfortable lifestyle by the saltwater pool and spa, framed by an amazing outdoor entertainment area including a gas fire pit and outdoor kitchen overlooking a tranquil canal. The interior is a 2 level design including 5 bedrooms, an office, 6 full bathrooms, 1/2 bathroom by the pool, loft area upstairs and laundry facilities on both levels. Seagate offers access to a private beach with a beachfront pavilion just a short stroll away. 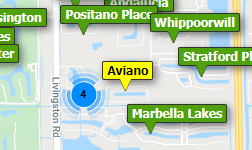 Seagate Homes: H.13227 One of Naples best kept secrets is tucked between Park Shore and Pelican Bay. Walk to the shops and restaurants of Waterside Shops or Venetian Village. Navigate Clam Pass in your own small boat, kayak or paddle board form your newly constructed waterfront home. Walking distance to Seagate private beach and club. Western exposure , high ceilings, brushed oak floors, custom cabinetry, double kitchen island and a private elevator. This home is perfect for entertaining family and friends. Construction was completed at the end of 2016. Seagate Homes: Nearly $400,000 total price reduction! Priced to Sell quickly. Perfectly nestled in the secluded waterfront subdivision of Seagate, comes a remarkably designed and impeccably cared for single family home built by award-winning builder Bordeaux Homes. Built in 2015, this coastal custom estate home, west of 41, features five bedrooms, five bathrooms, Wolf & Sub-Zero appliance packages, volume, vaulted and tray ceilings throughout and wire-brushed oak hardwood flooring. Within walking distance to the private Seagate homeowners beach club, this coastal waterfront home also features a dock and boat lift, custom kitchen cabinetry with double islands, two washers/two dryers in laundry room, a deluxe pool package with salt system and LED lighting, a 60-inch gas vented fireplace, PGT impact doors and windows throughout, and an oversized six car garage with separate pool bath. Enjoy small-boat access out to the Gulf of Mexico through Clam Pass as well as unlimited fishing, kayaking, paddle boarding, ecotourism and much more. The epitome of a truly functional luxury waterfront estate. Seagate Homes: THIS TOTAL CUSTOM GULF ACCESS WATERFRONT HOME IS A MUST SEE. POSITIONED ON AN OVERSIZED CUL-DE-SAC LOT WITH SEAWALL ON THE REAR AND LEFT SIDE AFFORDING DUAL WATER FRONTAGE. This Luxury home offers an open floor plan with soaring ceilings that enhance the feelings of space & light. As you enter you will be greeted by a huge great room featuring a custom built-in entertainment center and a wall of sliding glass doors at the central living area and kitchen offering an all encompassing view of the pool & waterway. All areas provide a continuous flow throughout the living space. The formal dining room is set apart from the gourmet kitchen with natural gas cook-top range. A large custom walk-in pantry provides storage for food & cooking supplies. A built-in wine cooler awaits your finest wine and champagne. The master suite offers a spectacular wall of plantation shutters for privacy, a soaring ceiling, a soaking tub, dual vanities, private water closet and an oversized walk-in closet. The guest bedrooms in this split floor plan are generously sized and each bedroom has its own full bath access. The home features a saltwater pool. Storage space in the home is much more than plentiful. Seagate Homes: H.14268 Dream! Your beach bungalow awaits...located in the desirable neighborhood of Seagate and steps away from the fabulous sugar sand of Naples Beach. This single level pool home sits on a large .36-acre lot full of tropical landscaping including multiple palms, mango tree, banana trees, star fruit, and more. On the last street before the beach you are a short stroll to the exclusive private, beachfront Seagate Beach Club (membership is not mandatory) which includes parking, bathrooms, showers & a pavilion for gatherings. Relax on the large lawn and watch the sunset without stepping on the sand. The home is in great condition, has lots of room to remodel & a large pool; or the large lot offers the opportunity to build your dream beach house. The canal out back provides quick access through the estuaries of Clam Pass to the Gulf of Mexico via paddle board, canoe, kayak, or small boat. NEW in 2018: Hot Water Heater, 2017: AC/some duct work, Electrical Panel and rewire. Seagate Homes: H.14320 Imagine! A lovely home steps from the beach and set in the heart of the desirable Seagate neighborhood. There are endless opportunities to live the coveted Naples lifestyle in this very special location...hop aboard your paddle-board, kayak, jet ski or small boat from your own private dock...Cruise through the natural beauty of the Clam Pass Estuary ending up in the beautiful Gulf of Mexico...Or take the short stroll to fabulous Naples Beach for daytime fun in the surf or an amazing sunset. This well-maintained home invites your special touches or imagine this as the perfect location to build your dream home. Steps from the fabulous Naples Beach and the exclusive Seagate Beach Club (membership optional) which includes parking, bathrooms, showers & a pavilion for gatherings.